In traditional herbal texts, burdock root is described as a “blood purifier” or “alterative,” and was believed to clear the bloodstream of toxins. It was used both internally and externally for eczema and psoriasis, as well as to treat painful joints and as a diuretic. 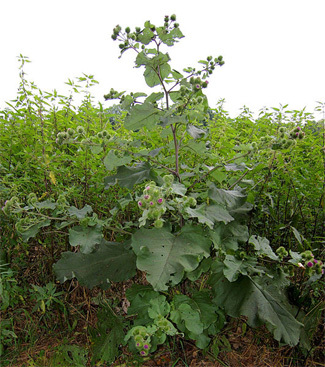 In traditional Chinese medicine, burdock root in combination with other herbs is used to treat sore throats, tonsillitis, colds, and even measles. It is eaten as a vegetable in Japan and elsewhere. Does St. John’s Wort Help With Depression? St. John’s Wort (Hypericum perforatum) is an herb that’s sometimes used effectively for treatment of depression. It is believed to contain ingredients that may help the brain produce more serotonin, which produces feelings of well-being in the body. The plant is named after St. John, the Baptist and produces yellow petals in groups of five that resemble a halo. Red sap runs from the plant and is said to be a symbol of the blood of St. John. Part of its scientific name, Hypericum, means “greatest health” in Greek. For many centuries, St. John’s Wort has been used as a sedative and to treat wounds, burns and sleep disorders. 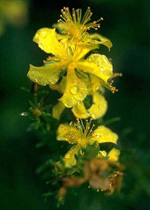 Now, St. John’s Wort is believed to be valuable in treating anxiety, sleep disorders such as insomnia and depression. St. John’s Wort can be purchased in capsules, extracts and teas. In the United States, it’s not sold as a prescription, but can be purchased over-the-counter. In Europe the herb is prescribed by physicians for depression and other illnesses. It was the spring of 1997 when I first became highly interested in the benefits and the power of herbs and natural remedies. Very rarely have I had beneficial experiences with western medicine. I’m allergic to a lot of the “stuff” they prescribe and seem to have far more toxic reactions than average. And, unfortunately, I’ve often been a “victim” of iatrogenics, which means “of or relating to illness [or death] caused by medical examination or treatment”). It’s true. I have been admitted to the hospital five times in my life and 4 of those times they nearly killed me… and that’s not what I went in there for! Even giving birth resulted in a medical mishap that nearly cost my life. Did you know that medical errors kill an average of 44,000 people every year? Wait. That’s not all. It’s really much bigger than that when you look at the whole picture. 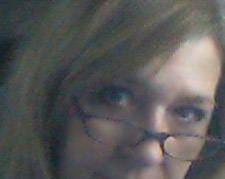 According to the 2003 medical report “Death by Medicine,” (by Drs. Gary Null, Carolyn Deanh, Martin Feldman, Debora Rasio, and Dorthy Smith) 783,936 people in the United States die every year from conventional medicine. Approximately 200,000 are from prescribed-taken-as-directed-drug reactions. Over the course of a 12 month study, more than 2 million patients suffered a serious adverse drug reaction (ADR). Worse still, studies reveal that 75% of these were from toxicity rather than allegic reactions. 100,000 of these patients died. According to the governmental “Centers for Medicare & Medicaid Services” (CMS), national health spending is expected to reach $4.4 trillion and comprise just over one-fifth (20.3 percent) of Gross Domestic Product (GDP) by 2018. Talk about gargantuan business!